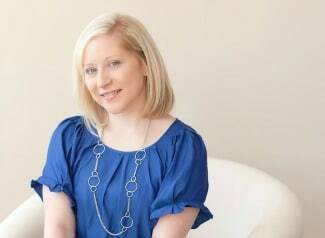 I participated in an Ambassador Program on behalf of Influence Central for Holstein Housewares. I received product samples to facilitate this post well as a promotional item to thank me for my participation. My son was having a party at school and we wanted to bring something fun for the kids in his class to enjoy. One of my son’s favorite treats are doughnuts. The Holstein Housewares Doughnut Maker was the perfect thing for us to use because it makes delicious doughnuts in just minutes. I thought it would be fun to have him in the kitchen with me to help make the mini doughnuts. He just turned 4 years old and is now at the perfect age where he could follow directions and help me make yummy treats. We had so much fun with the Holstein Housewares Doughnut Maker. 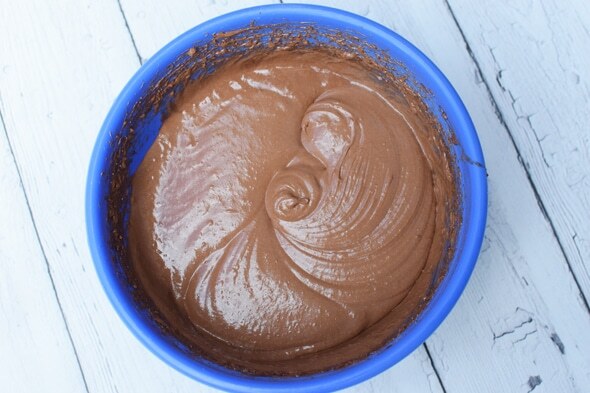 Check out the recipe below for how to make Quick and Easy Mini Chocolate Doughnuts. 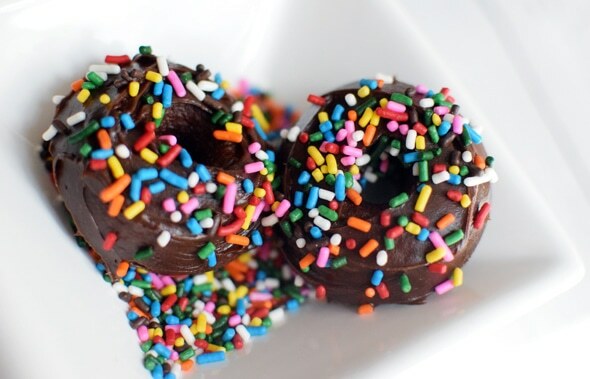 As per my son’s request, we made chocolate doughnuts with chocolate frosting and sprinkles. The stylish, easy-to-use treat maker saves you time, money and energy in the kitchen. No more waiting to pre-heat the oven. As soon as you plug in your treat maker it heats up right away and your ready to pour in your batter. 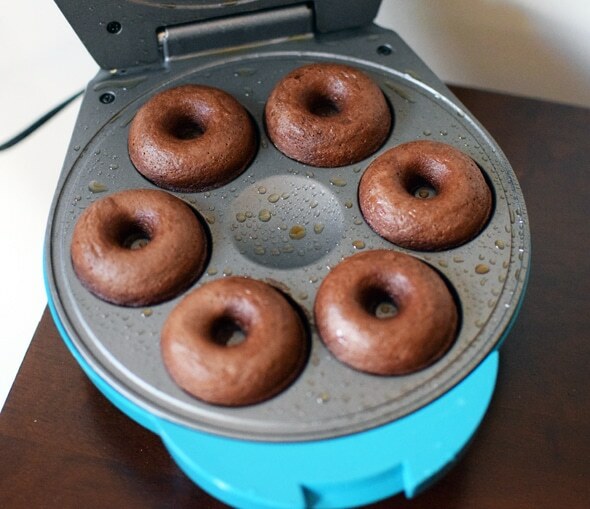 The Holstein Housewares Doughnut Maker makes 6 mini doughnuts in just 6 minutes! 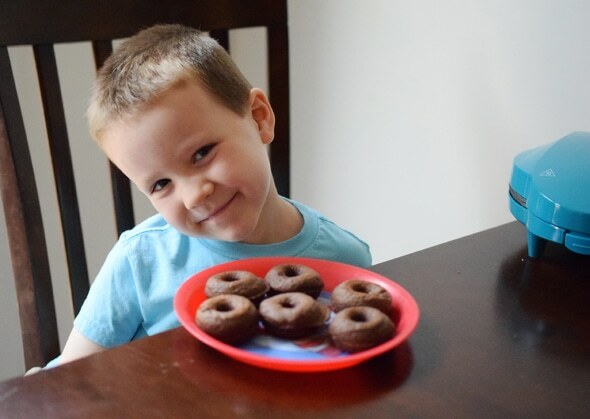 The treat maker is perfect for toddlers who are anxious to put the frosting and sprinkles on get the first bite of those delicious double chocolate doughnuts! Not only do the doughnuts bake fast but they turned out perfectly fluffy and delicious. 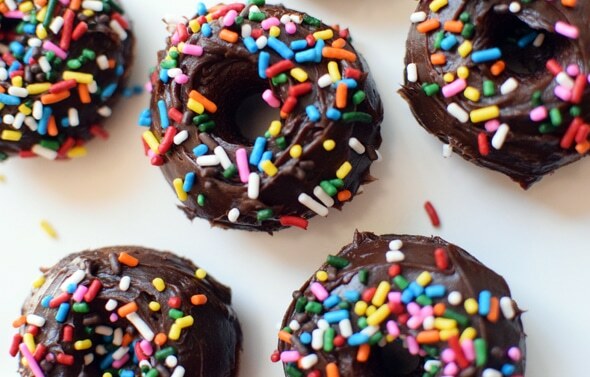 After we let the doughnuts cool, we were ready for the fun part … chocolate frosting and sprinkles of course! Well … maybe eating the doughnuts was the fun part! Whether you’re having fun in the kitchen with your kids or looking for a time-saving delicious treat that looks Pinterest-worthy, Holstein Housewares’ innovative treat makers provide you with a fun selection to choose from. This doughnut maker, along with their other products, can be purchased directly from their website. Also, be sure to check out our Easy Homemade Funfetti Cupcake Recipe using Holstein Housewares Cupcake Maker and our Quick and Easy Cake Balls with Holstein Housewares Cake Ball Maker. 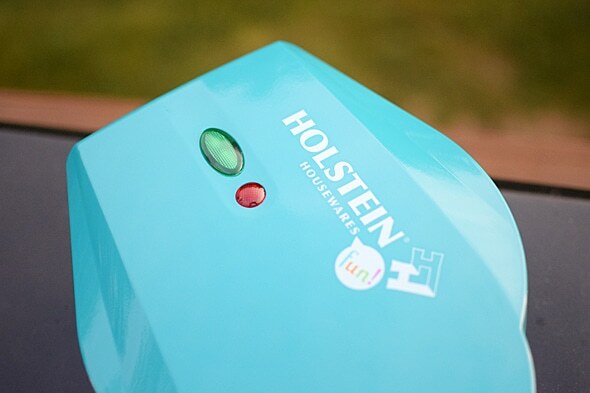 Be sure to follow Holstein Housewares on Facebook, Twitter, and Pinterest to get the latest on what their cooking up next! mmm, looks yummy! A donut maker is such a good idea for those of us who have gluten-free kiddos. Not a bad idea at all! Oh my gosh, I totally want a donut maker now! Oh! How lovely these doughnuts are! I will definitely prepare these. Thanks!